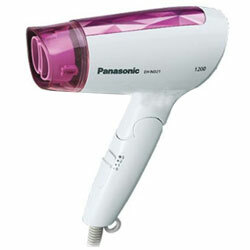 Tighten the bonds of your relationship by ordering online this Splendid Women's Special Hair Dryer from Panasonic for your loved ones and give them a reason to love you more. This Women’s Hair Dryer has specifications like Air Speed (110 km. per hour), 1 Concentrate Nozzle (6 x 75 mm.) and Very Long Life AC Motor (1000 hours).